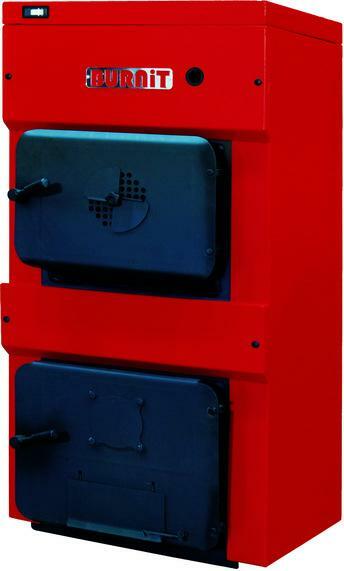 Steel wood-fired boilers WBS - nominal output 110 kW to satisfy the heating demands of medium to large sized spaces. They are engineered for burning solid fuel and provide the option for fitting pellet, oil or gas-fired burners. Safety heat evacuator a tap-water-filled line passes through the upmost part of the boiler body. In case of overheating it is triggered open by a thermostatic valve (not included) to evacuate the heat off the boiler.